Seneca Allegany is a 4 Star Resort and Casino to Pamper yourself in any of 413 luxurious rooms, including 45 corner, end, or center suites. All rooms feature upscale amenities including a pillow-top bed, oversized shower, flat-panel HDTVs, HD programming including new release movies and music on-demand and complimentary wireless high-speed Internet service property-wide. And while you’re here, relax and rejuvenate in The Spa or enjoy our state-of-the-art workout facility complete with cardiovascular equipment, circuit weights, free weights, an indoor pool, whirlpools and locker room. 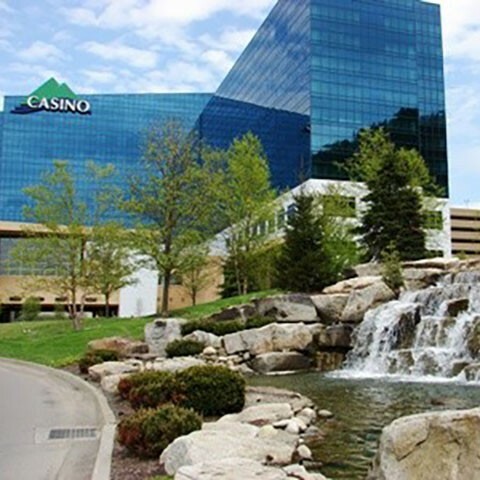 Feel the rush of the hottest games in the region and choose from nearly 1,800 reel and video slots including some of the newest Video Poker games along with the familiar classics. Spin your way to a wild jackpot on one of our countless linked progressives or visit our High-Limit Slot machines for those who want to experience the higher denomination and max bet games. From classic favorites to the latest reels, penny spins to $100 pulls, we have the perfect game for you. Play on expansive main gaming floor or try your luck in our non-smoking casino, Turtle Island. Experience the exhilaration of hitting the jackpot on the most progressive slot machines around or get your heart racing on your favorite video slot, all in the pureness of a smoke-free environment. Nothing gets the adrenaline pumping like the live action of your favorite table game. At Seneca Allegany Resort & Casino choose from over 30 table games dealing non-stop excitement with each and every hand. You can play your favorite table games in the high-limit area Monday through Thursday from Noon until 4 AM. PLUS, high-limit tables are open all weekend-long from Noon on Friday until 4 AM on Monday! The high-limit table game area at Seneca Allegany Casino is a private and discreet area for our most esteemed players. Enjoy the exclusivity and receive personalized service from dedicated VIP attendants. We offer high-stakes Blackjack with wagers starting from $25 and above. And nearby, you can enjoy the high-limit slots featuring $5 to $100 machines. Retreat to a place where you can quiet your thoughts, calm your spirit and soothe your senses. Relax with a Swedish body massage, full body wrap or customized facial. Treat yourself to a manicure, pedicure, waxing treatment or new hairstyle at our full-service Salon.